A word-by-word translation of the original Bengali Edition of the "Gospel of Sri Ramakrishna." It contains the dialogues of the Bengali saint Ramakrishna. 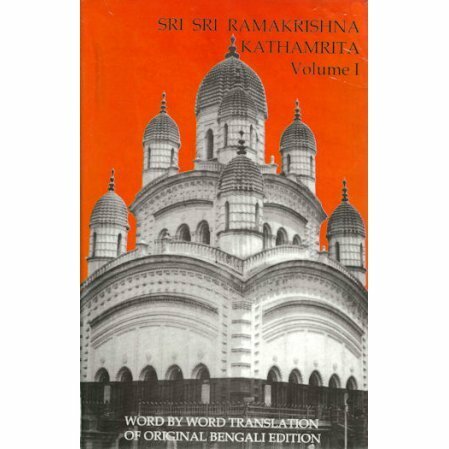 This book is a word-by-word translation of the original Bengali Edition of the Gospel of Sri Ramakrishna. It contains the dialogues of the Bengali saint Ramakrishna written with almost stenographic accuracy. This edition is a different translation of the Swami Nikhilananda Gospel of Sri Ramakrishna which was published in the forties and showed the restraint of that era. All 5 volumes of the set are now available in English. If you previously read the Nikhilananda version, this translation will seem like a new Gospel. The author, known as "M," was a disciple of The Hindu saint Sri Ramakrishna. He is famous for his role of transcribing the teachings of Ramakrishna. Please note that Volume 2 is only available in paperback! At this point the other volumes are hardback. New printings will likely be paperback.